“Don’t feed the trolls.” That has been the prevailing wisdom among more sensible Internet denizens for decades now. 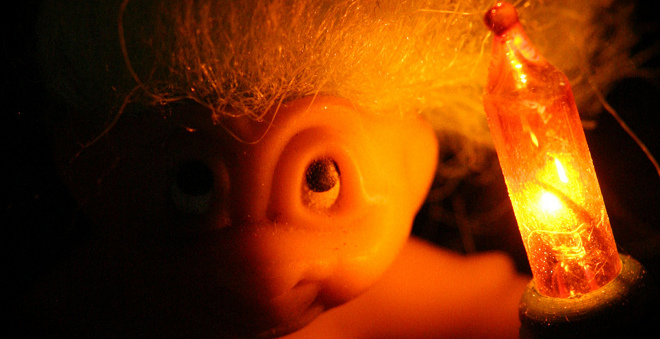 Fish suggests that we refrain from criticizing, ignoring, banning and rebuking the troll — that is, by the way, the entirety of the troll management toolbox as we know it. Instead, Fish’s approach has us asking the troll to explain the reasons behind his statements and agreeing with their contention with softer language. Then, says Fish, one should negotiate a common ground with the troll. Shlomi Fish goes on to provide more examples and further detail on dealing with trolls. If you’re sick of dealing with trolls the traditional way, go have a look and see what sort of responses you can get out of these techniques. Now, I’m off to troll the author for using LiveJournal.